Small Arms) .5" observer s gun intended for flexible mounting, which initially used similar but slightly different ammunition, although it was later adapted to fire the standard Vickers round. 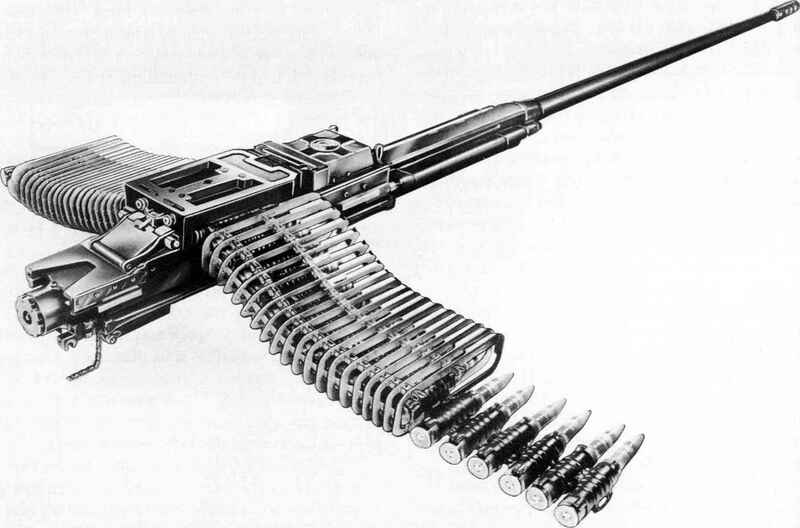 However its size, low rate of fire and the small magazine capacity of 37 rounds deterred the RAF from adopting it. 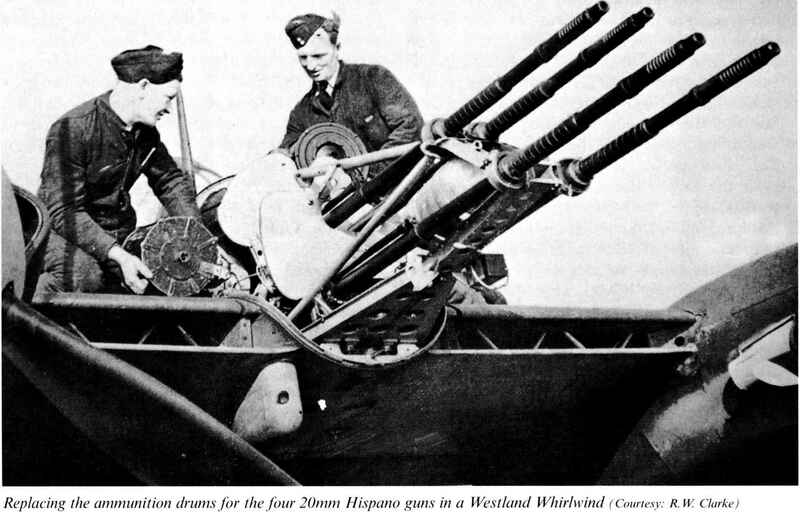 Tests against aircraft structures and engines in comparison with .303" guns favoured the smaller calibre and work on the HMGs stopped in 1928, although versions of the .5" Vickers were selected for both the Army and the Royal Navy. Even larger calibres were considered. After experiments with 20mm test guns in the early 1920s, Oerlikon 20mm cannon were acquired and tried in the late 1920s and mid-1930s, but again the added destructive effect was not considered worth the extra weight. The RAF was particularly concerned about the increasing speed of aircraft and the short time available for firing, so put rate of fire at the top of the priority list. This meant that the new generation of monoplane fighters were equipped with an impressive battery of eight Browning .303" RCMGs, with a combined rate of fire of over 9,000 rpm, or 150 rounds per second. This was a logical decision at the time, as aircraft were not equipped with armour or self-sealing fuel tanks and were therefore vulnerable to RCMG fire. It was not, however, very far-sighted, as the British aircraft were at an immediate disadvantage as soon as enemy aircraft adopted protective measures.